Disney Junior programmes have graced our house since Roo was just a little girl. With an array of fun characters and catchy theme tunes they soon became firm favourites. Mickey Mouse’s Clubhouse was one that featured regularly until Minnie’s Bow Toons arrived and they had to compete for top spot. With each new child, they have been introduced to bold colours, characters, and tunes from Disney Junior. Our trip to Disneyland Paris earlier this year really cemented the children’s love of all things Disney with Minnie Mouse looking like a firm favourite for Piglet. 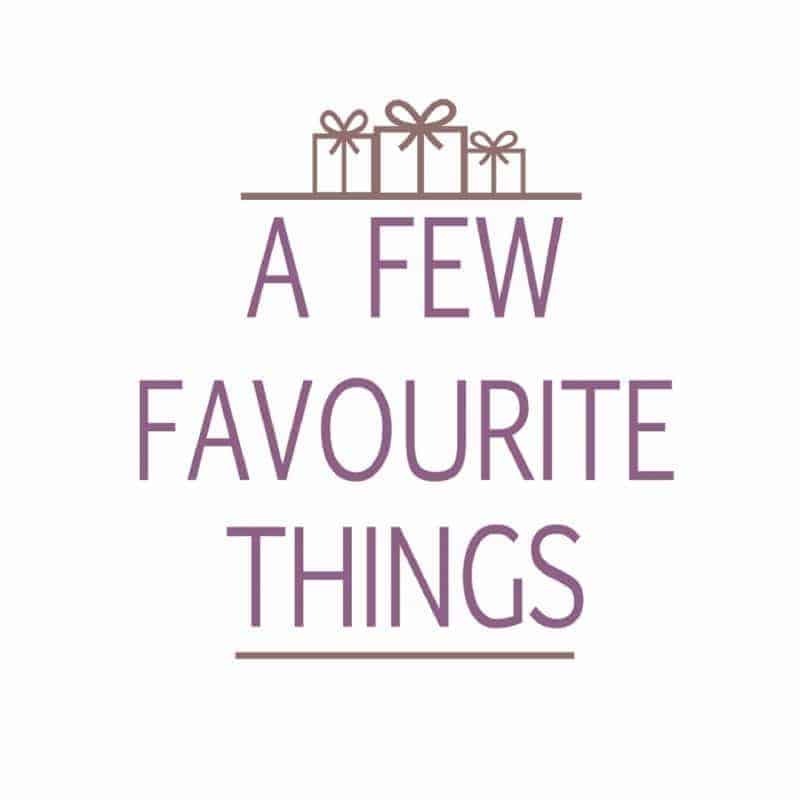 Whilst I offer the children to choose toys etc themselves, my girls do tend to lean more to anything that is pink, purple and sparkly (my little magpies as I call them). So the addition of the Minnie Mouse’s Happy Helpers House was an exciting find for Piglet as she woke from her nap. 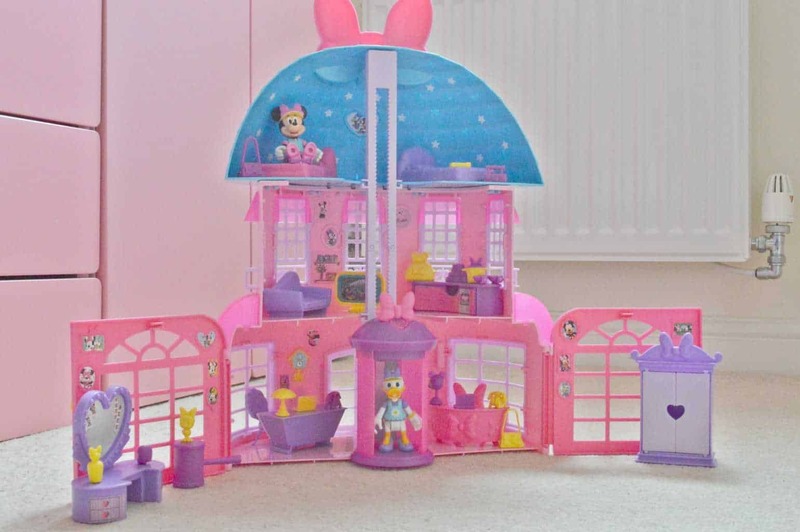 Let’s play with Minnie Mouse’s Happy Helpers house and office from the series! 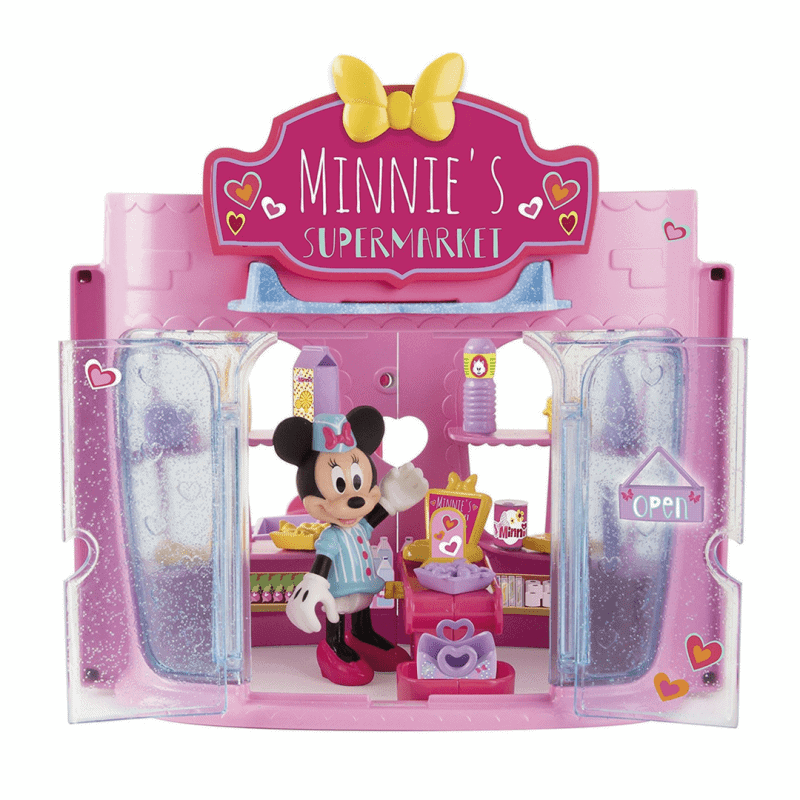 Have fun with Minnie and Daisy as they explore the entire Happy Helpers house and all of its secret surprises! 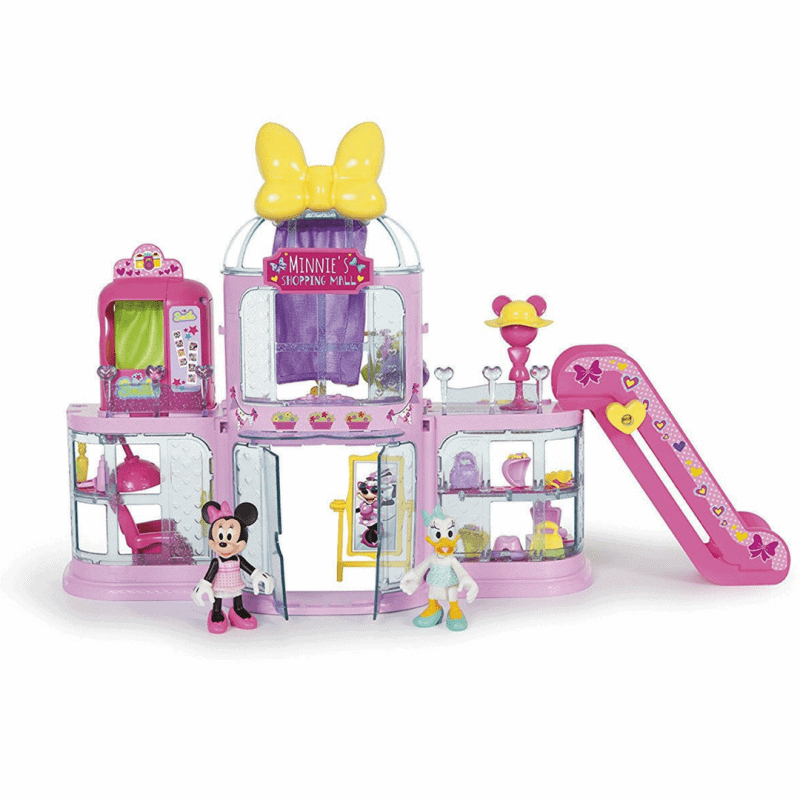 Minnie Mouse’s Happy Helpers House // What’s included? The playset comes in a substantial box with the main areas of the playset requiring assembly. 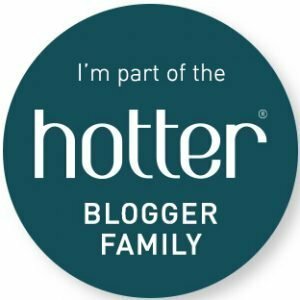 The step by step instructions easily guides you through this. With the stickers individually numbered so that you know exactly which one you should be placing. 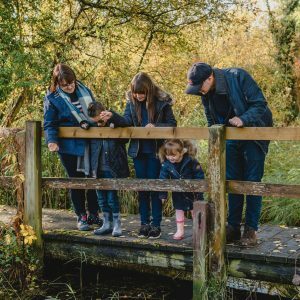 With over 20 accessories included it could be easy to get confused as to which is required – this has been thought through with each one having a letter/number on so you can find the correct one. Travel in the turnstile lift to the different levels, office, living room and bedroom. With the Minnie and Daisy figures activate the lights & sounds when you place them inside the turnstile lift… Just like magic! 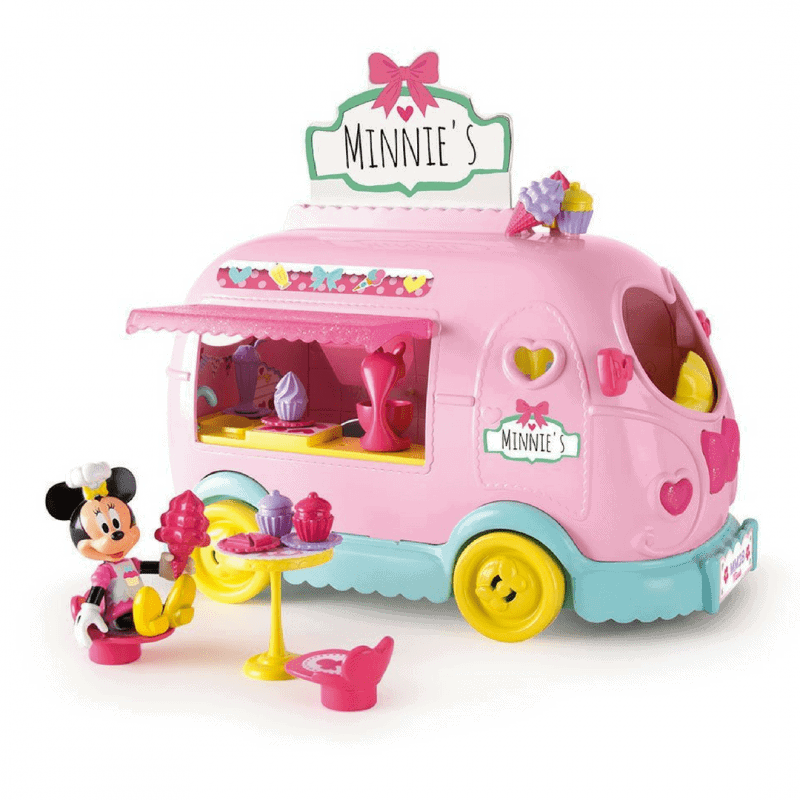 Time to get some work done in the Happy Helpers office before relaxing in Minnie’s living room. At the end of a long Happy Helper’s day, Minnie and Daisy can even fall asleep in their bedroom looking up at the stars! 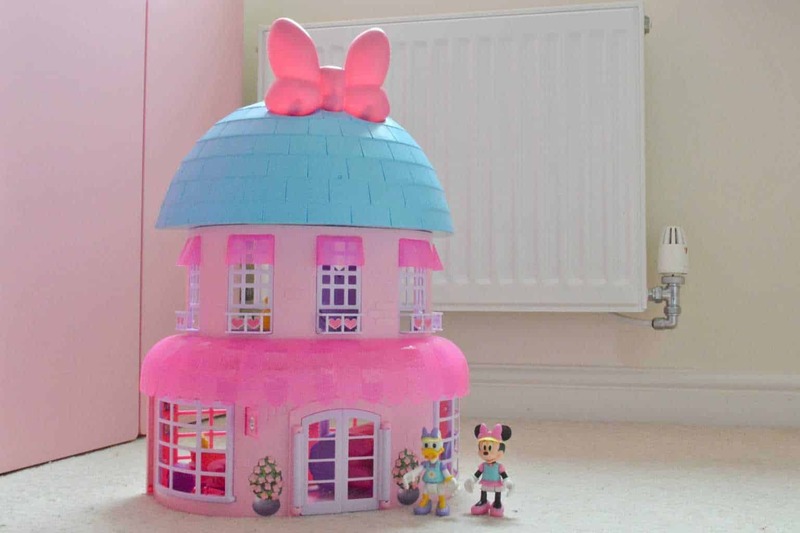 Minnie Mouse’s Happy Helpers House // Why I Can I Buy? 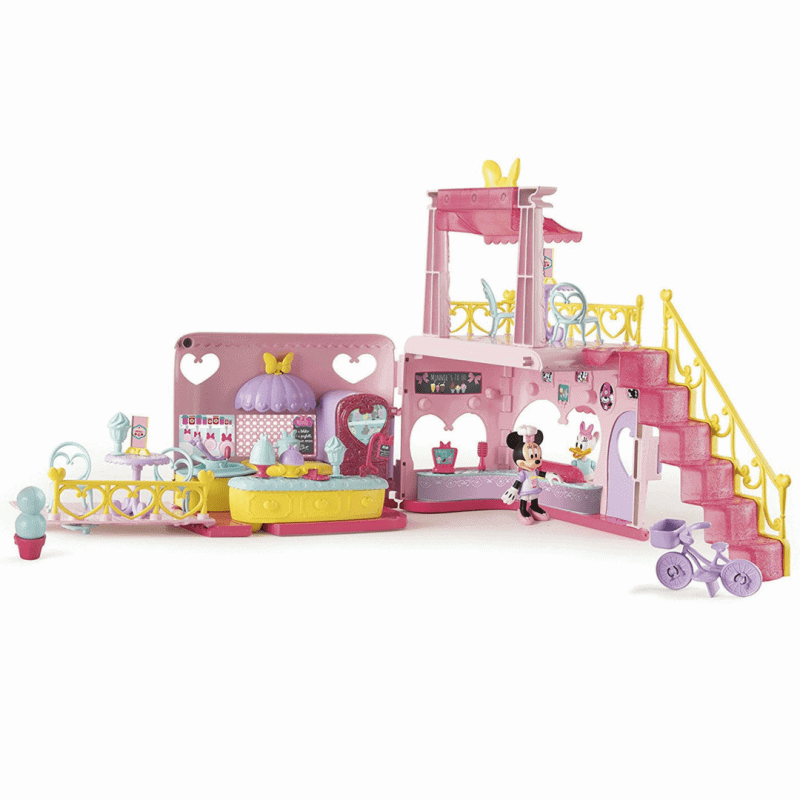 The Minnie Mouse’s Happy Helpers House is available to buy from Amazon, Argos and all other good toy retailers.